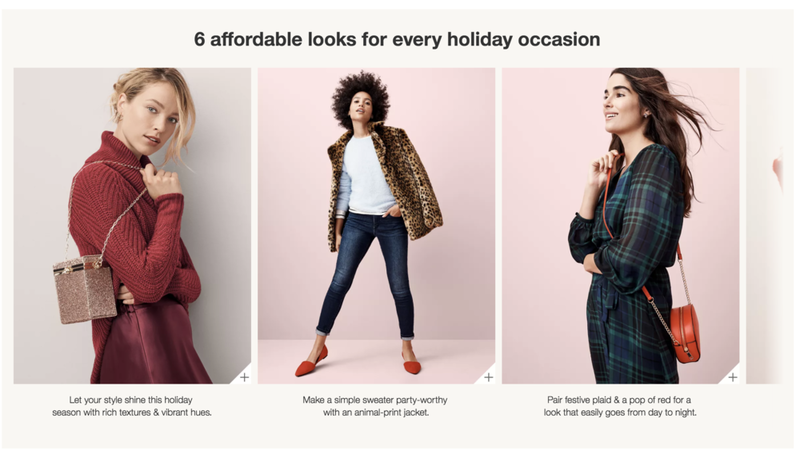 The Target Holiday 2018 campaign centered around the theme of “Gather Round.” I worked with a small team to create engaging, value-oriented stories that spoke to the theme of gathering and outfits for all the various kinds of special occasions people attend over the holidays. Through digital brand pages, social media and digital marketing banner ads, this cohesive campaign spoke to each brand’s unique voice while incorporating the Target 2018 holiday voice. Featured brands included A New Day, Goodfellow & Co., Universal Thread, Prologue, Ava & Viv, JoyLab and Cat & Jack.